Stock Exchange: What Can Traders Learn From Poker AI? Our previous Stock Exchange asked the question “are you still on the sidelines?” We reminded traders that waiting for the perfect “dip-buying” opportunity (i.e. “waiting on the sidelines”) can work, but it has not been the best trading strategy considering the continued market rally. If you missed it, a glance at your news feed will show that the key points remain relevant. This Week: What Can Traders Learn from Poker AI? Artificial Intelligence (“AI”) continues to be more pervasive in the world each day, considering advancements in such things as self-driving vehicles, smart phones (mine seems to track my every move), and even Jeopardy (Watson beat Ken Jennings). 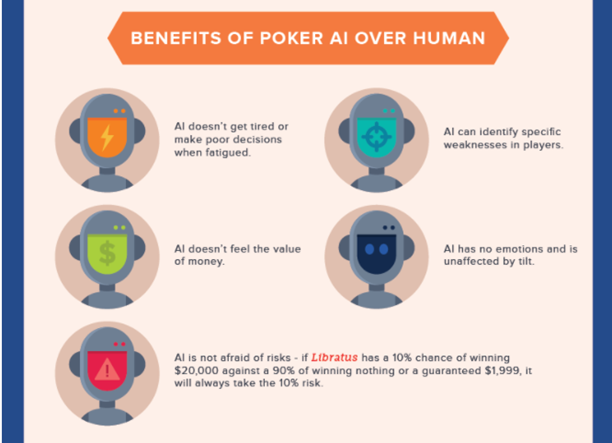 The above graphic is an excerpt from a detailed infographic on the advancements of AI in the field of poker, and there are some interesting lessons that are highly relevant for traders too. For example, this next graphic describes the benefits of artificial intelligence over humans in the field of poker, but it might as well be for the field of trading as well. AI doesn’t get tired or make poor decisions when fatigued. This is a common psychological error among traders, and it’s also a big part of the reason our trading models (discussed below) are successful (i.e. they don’t get tired). AI doesn’t feel the value of money. This is another common psychological problem for humans (money can make them nervous) that our non-human, emotionless, trading models are able to avoid. AI is not afraid of risks. Machines have no fear (yet), and this is good thing. AI has no emotions. Neither do our quantitative and technical models, and we like it that way. AI can identify specific weaknesses in players. Our models beat human traders, but are not really learning-based. 4 out of 5 isn’t bad. 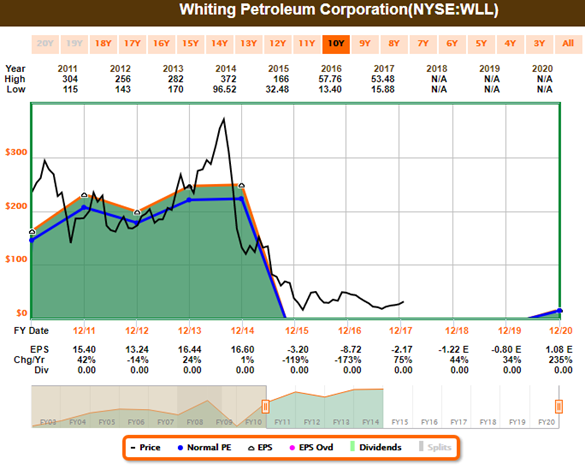 Road Runner: This week I like Whiting Petroleum (WLL). Are you familiar with this company, Blue Harbinger? Blue Harbinger: I am familiar. Whiting is an oil and gas exploration company, primarily in the Rocky Mountain region. And like a lot of oil and gas companies, the shares tanked in the second half of 2014. They fell from over $370, and they were under $16 earlier this year. However, the share price has shown some signs of life in recent months as energy prices have started to climb again. For example, crude prices have surged almost 40% in the past six months. Why do you like this stock, Road Runner? RR: As you know, I like to buy stocks that are at the bottom of a rising channel. And based on the following chart, you can see why I like Whiting. BH: Interesting idea, Road Runner. I read in the Wall Street Journal this week that “U.S. oil companies are on track this year to generate more cash than they spend, a first in the age of shale.” For your reference, here is a look at the Fast Graph for Whiting. RR: I am aware of oil prices and industry dynamics. Are you aware that my typical holding period is about 4-weeks, so I’ll likely be out of this stock long before this year’s earnings is announced? BH: Well considering your momentum strategy has been doing extremely well lately (per the performance info in our earlier table), I really hope this one works out for you. I’ll check back with you on this trade in about 4-weeks. Anyway, how about you, Athena—what have you got this week? 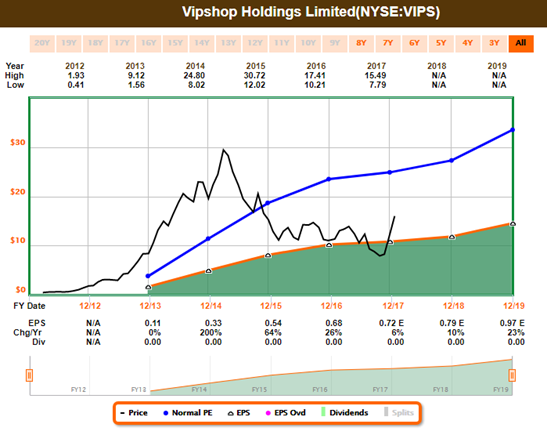 Athena: This week I like Vipshop Holdings (VIPS). What do you know about this stock? BH: Well, aside from the fact that Holmes bought this stock on the dip back in late October, I know VIPS is an online discount retailer for brands in China. Don’t you think you’re a little late to the party, Athena? Why do you like this stock now? Athena: I am a momentum trader. I typically hold my positions for about 17-weeks, and VIPS looks very attractive right now. BH: Revenue has been growing like crazy for Vipshop in recent years, but profitability has been razor thin. The company announces earnings again in a little over three weeks, so you could be in for a wild ride (to the upside) considering emerging markets (China in particular) has been very strong lately. Here is a look at the Fast Graph. Athena: Thanks for that perspective. And just so you know, I exit when my price target is achieved, and I use stops to control risks. BH: Thanks for that info, Athena. How about you Felix—what have you got this week? 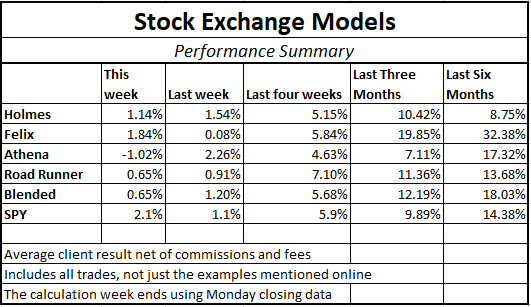 Felix: I have no stock picks this week, but I did run the S&P 500 stocks through my model, and I’ve ranked the top 20 in the following list. BH: That’s an interesting list, Felix. I see a lot of the usual aggressive growth suspects on your list, such as chipmaker Nvidia (NVDA) and one of my personal favorites, Netflix (NFLX). 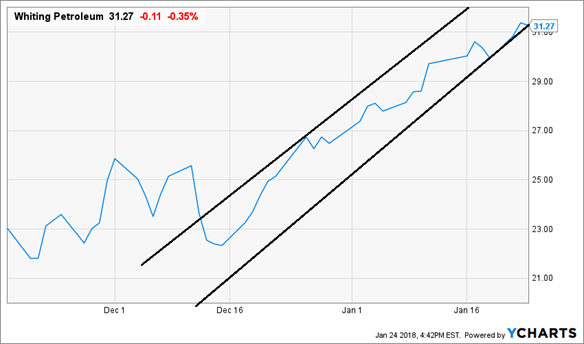 I realize both of those stocks have very strong sales growth, but considering they’re up 22% and 41% this year (and 127% and 94% over the last 12 months), aren’t you getting a little nervous? Felix: I’m a model, not a person. So no, I am not nervous. Did you learn nothing from our earlier discussion about artificial intelligence? BH: I was just checking, Felix. 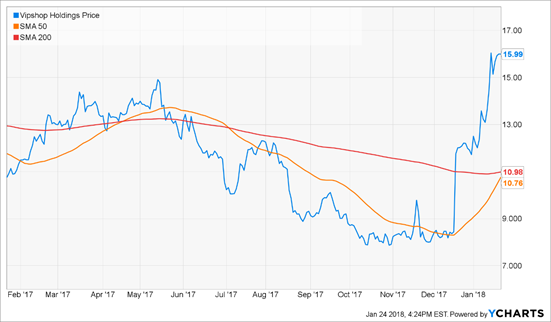 By the way, are you aware that Nvidia’s graphics processing chips are proving extraordinarily valuable in the artificial intelligence functions within data centers?… that’s a big part of the reason that stock has been on fire. Nonetheless, remind us, Felix—how will you know when it’s time to sell? Felix: I am aware that Nvidia chips are being used in data center AI. They’re also being used by over 70 different automakers as they develop self-driving vehicles. Anyway, I typically hold my positions for about 66 weeks—which is much longer than the other models. I exit when my price target is hit, and I use stops and macro considerations to control risks. And did you happen to notice my strong performance in the performance table earlier in this report? BH: Nice job, Felix. Not surprised your style is shining in this market. How about you, Oscar—what have you got this week? Oscar: This week I’m sharing my top 20 rankings from my High Volume ETF universe. BH: I see oil (USO), Emerging Markets (EEM) and the Nasdaq 100 (QQQ) are all on your list. That bodes well for Road Runner’s oil and gas pick (WLL), Athena’s emerging markets pick (VIPS), and some of Felix’s top picks (NVDA and NFLX are both in the S&P 500 and the Nasdaq 100, for example). Oscar: That is correct. And in case you’ve forgotten, I am a momentum trader, and my typical holding period is about six weeks. I use stops to protect against downside, and I exit by rotating into another sector. 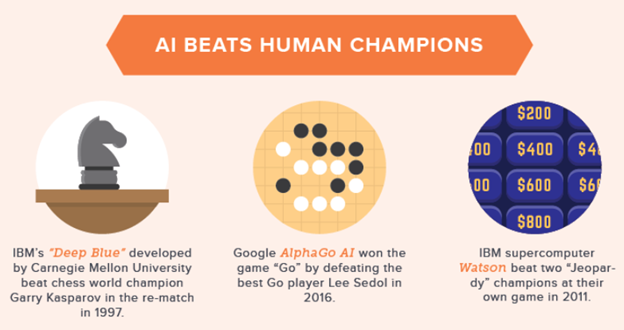 Artificial Intelligence continues to advance in many fields including smart phones, self-driving vehicles, and even poker. 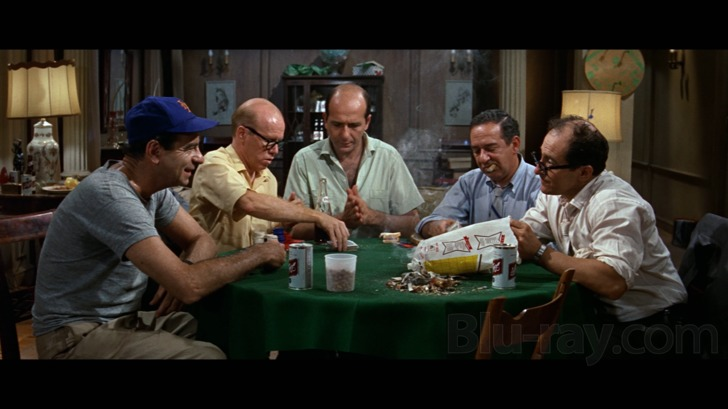 And interestingly, many of the advantages of AI in poker (i.e. no emotions) are also advantages when it comes to our trading models—which, by the way, our models do consistently beat humans (traders in this case) for a variety of reasons, such as their lack of emotion and their ability to sift through a lot of data very quickly.